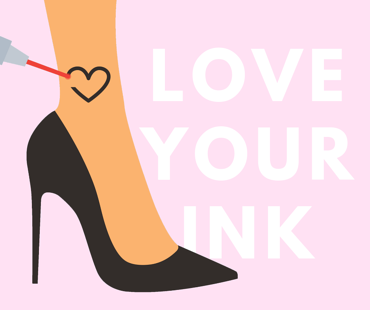 The first ever National Tattoo Removal Day is finally here and we couldn’t be more excited! National Tattoo Removal Day on August 14th is a day that celebrates laser tattoo removal and the many advancements in laser technology that have made the removal of unwanted ink safe and effective. It also supports all of the individuals that have contemplated or hesitated to have a tattoo lasered off and urges them to move forward with the procedure. Lastly, National Tattoo Removal Day recognizes the expertly trained laser technicians, tattoo shops, physicians, and other laser tattoo removal providers for their hard work and passion for laser tattoo removal. National Tattoo Removal Day is a day that celebrates laser tattoo removal and the many advancements in laser technology that have made the removal of unwanted ink safe and effective. It also supports all of the individuals that have contemplated or hesitated to have a tattoo lasered off and urges them to move forward with the procedure. Lastly, National Tattoo Removal Day recognizes the expertly trained laser technicians, tattoo shops, physicians, and other laser tattoo removal providers for their hard work and passion for laser tattoo removal. Today is a particularly special day because we at Astanza are announcing a project that we’ve been planning for quite some time. Astanza has worked with the National Day Archives to observe for the very first time in history: National Tattoo Removal Day on August 14th!